HALIFAX -- Federal officials are closer to bringing as many as 10 relatives of a grieving Syrian refugee to Nova Scotia, as Halifax residents prepared to gather Saturday for the funeral of her seven children who died in a fast-moving house fire. Halifax MP Andy Fillmore said Friday a number of applications were already being processed, and anonymous donors have offered to pay for expenses such as flights, lodging and groceries. "It illustrates how incredibly warmly the community has come together to support this family. We can sense that the world is watching and is being reminded of what Canada's role in the world is with regard to refugees and openness to immigration," said Fillmore from Ottawa. Kawthar Barho, whose badly burned husband's condition has improved slightly, has told local politicians and religious leaders in Halifax that she wants to be reunited with family members living overseas because she has no other relatives in Canada. Fillmore said he has been working with the Immigrant Services Association of Nova Scotia, the YMCA and the federal immigration minister to bring between five and 10 members of the family to the province. "Everybody involved in this is moving just as quickly as possible," said Fillmore, hours before boarding a flight back to Halifax ahead of Saturday's funeral. 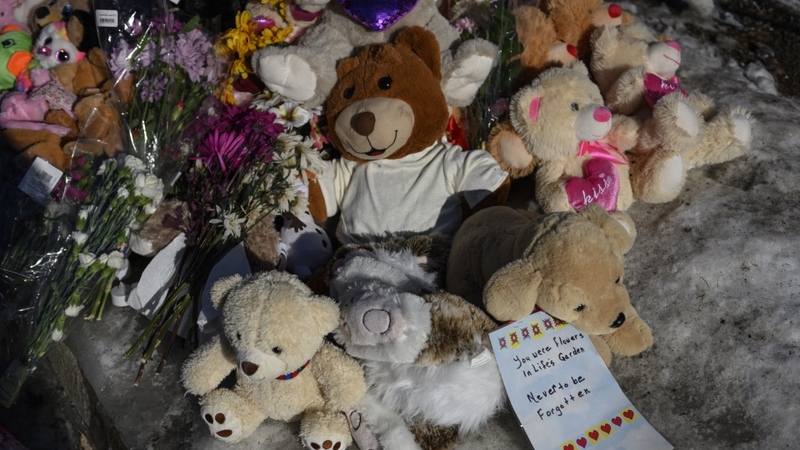 The service for the Barho children will begin at 1:30 p.m. at the Cunard Centre on Halifax's waterfront. Imam Abdallah Yousri said funeral proceedings will follow in the Islamic traditions, but will be open to people of all faiths and members of the public. "We were amazed by the support and the sympathy from the community... so we were thinking to find a bigger venue to accommodate everybody and to let the wife, Kawthar, see the support and the sympathy from the community," said Yousri in an interview on Friday. "We feel that this is the best thing we can do to support her right now." He said traditional portions of the service will be followed by words from community members, including Fillmore and the Hants East Assisting Refugees Team, the group that sponsored the Barhos' refugee claim. Following the funeral service, there will be a burial at a Muslim cemetery in Hammonds Plains. Shuttles will be organized to and from the Cunard Centre to accommodate those who wish to attend, and ample parking is available at the centre. Yousri said the children's father -- Ebraheim Barho -- remained in hospital Friday recovering from extensive burns. He was in critical, but stable condition. 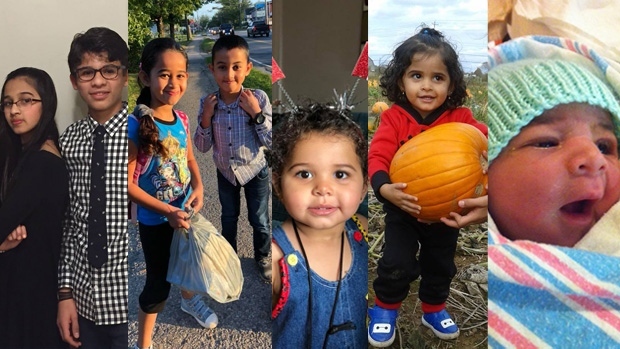 Early Tuesday, the house fire on Quartz Drive killed all of the Barho children: Ahmad, 14; Rola, 12; Mohamad, 9; Ola, 8; Hala, 3; Rana, 2 and Abdullah, who was born in Canada on Nov. 9. The scale of the tragedy for the young Syrian family who arrived in Nova Scotia in September 2017 as refugees has struck a chord with Canadians. A GoFundMe campaign had raised more than $523,846 by late Friday afternoon, with a $1-million goal. As well, multiple businesses were donating proceeds of their sales to the family. 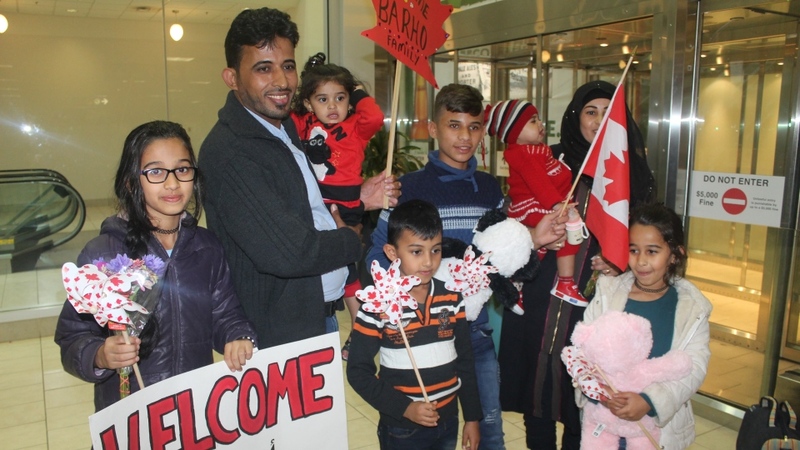 The Barho family lived in Elmsdale, a 30-minute drive north of Halifax, when they first arrived in Nova Scotia and were embraced by residents there. Coun. Stephen King, who represents Elmsdale-Belnan, said a non-denominational vigil for the family was planned for Friday night at Riverview United Church. "They were living right in historic centre of Elmsdale. It's where everyone passes through and everything is happening -- like our July 1st parade and tree-lighting ceremonies," said King. "The neighbours around them really embraced the children." King said they lived on a short street with about half-a-dozen houses, in an older home known locally as Miller House. "The kids would got back and forth to those houses every day -- there was interaction every day," said King. "You'd see the child out by the house, or by the church and the little general store -- or they would be walking up to the mall. Everybody got to know them... They seemed to be a real good fit with the community." He said even the younger children seemed to be picking up English rather quickly. "They were always polite and, everyone will tell you, they were always smiling," he said. "I was always impressed with the oldest boy. He seemed to be mature beyond his years. Of course, you never know what they are shouldering." The Barhos had moved to the Halifax suburb of Spryfield to take advantage of language training and other immigrant services. They had planned to return to Elmsdale next month. The family was among 1,795 Syrian refugees who have come to Nova Scotia in recent years. The Trudeau government granted asylum to 40,000 Syrian refugees in 2015-16. A brutal civil war has raged across Syria since 2011, claiming more than 400,000 lives. -- With files from Michael MacDonald. 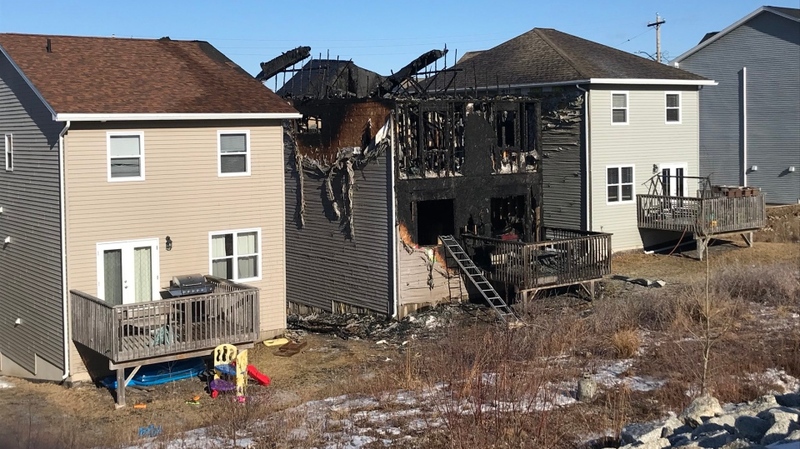 Seven children are dead after a devastating house fire in the Spryfield area of Halifax on Feb. 19, 2019.